It's important to know what medications you are taking for diabetes. You should know what they do, when to take them, and why you are taking them. Increasing your awareness can help you to better manage your diabetes. And believe it or not, there actually is a method for prescribing these medicines. Both the American Diabetes Association (ADA) and the American Association of Clinical Endocrinologists (AACE) have specific algorithms that they suggest clinicians use when prescribing medication which should be personalized. 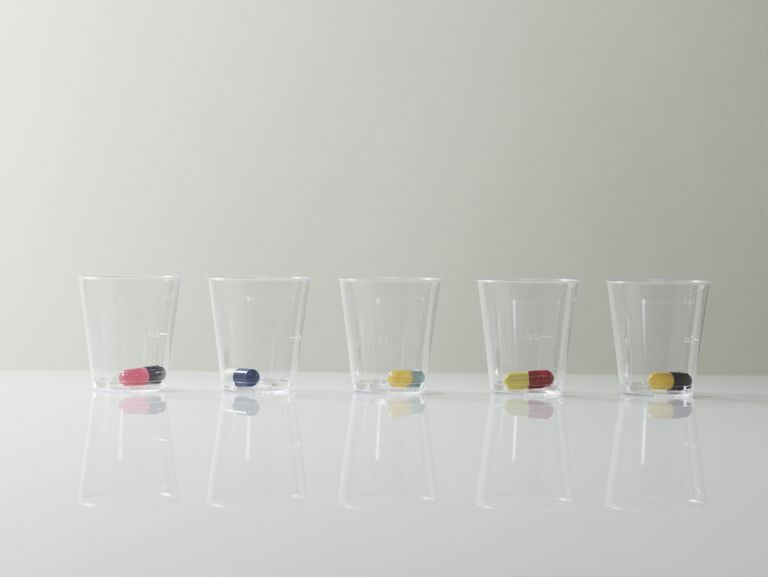 The American Diabetes Association guidelines state that medication prescription should be based on a patient-centered approach, taking into consideration blood sugars, past medical history, age, efficacy, cost, potential side effects, effects on weight, hypoglycemia risk, and patient preferences. There is an algorithm as to which medicines to start first, but again all of this is subjective based on the actual patient. And all medicines are prescribed as an adjunct to diet and exercise—lifestyle changes are always important. If you aren't aware of all the diabetes medicines out there, here is a brief synopsis of each one. Usually used as the first medicine for diabetes. Inhibits the liver from releasing too much glucose (sugar). May also reduce insulin resistance (makes your body more sensitive to insulin in your body). Take with food to prevent side effects, such as upset stomach, nausea, or diarrhea, b12 deficiency, and rare lactic acidosis. Increase dose as tolerated. Usually taken once to twice a day and is dosed 500 to 2550mg daily. Expected to reduce A1c 1 to 1.5 percent. May reduce some cancer risks. Can be used in certain people with prediabetes to help prevent type 2 diabetes. It has been around for a long time and is related to a substance found in a French lilac plant. Metformin should be started at a low dose and increased gradually to prevent side effects. If you were prescribed standard metformin and are not tolerating it, ask your healthcare provider about the extended release version which may be easier on your stomach. If you have a history of kidney, liver, or coronary heart failure, you should discuss with your physician before starting this medication. If you drink alcohol excessively, you should discuss with your healthcare provider before starting this medicine. Actos, or pioglitazone, is a class of medicines called Thiazolidinediones and can be used as a first or second line agent for people with diabetes. Another agent of this class, rosiglitazone (Avandia), is no longer widely available, owing to concerns of increased heart attack risk—but, it is no longer restricted. For the purpose of this article, and it's limited use, we will not discuss rosiglitazone. Works mainly on the muscle and fat cells to make the cells use insulin more efficiently. This means that glucose can enter the cells more easily. Take once daily—can be taken without regard to meals. Takes about 6 to 8 weeks to start working and 6 to 8 weeks to leave your system. May cause swelling in feet or hands from fluid retention or weight gain. Expected to reduce A1c to 1.5 percent. This medication is not recommended in patients with congestive heart failure. It’s important to get routine liver function tests. Contact your health provider immediately if you have excessive weight gain or swelling in the legs, feet, or hands. If you have a history of bladder cancer or a family history of bladder cancer, you should discuss it with your healthcare provider before starting this medication. Sulfonylureas are a class of medications that have been around for a long time and are usually used as a second agent to help reduce mealtime blood sugars. They should be used with caution in the elderly because this population is at increased risk of developing low blood sugars. Works on the pancreas to release more insulin, both right after a meal and then over several hours. Regardless of whether your blood sugar is high or low, this medication will increase insulin output. Take this medication before you eat, if you skip a meal do not take it. These medicines can cause low blood sugar, therefore you should always carry a source of fast-acting carbohydrate with you, such as glucose tablets, juice or glucose gel. Expected to reduce A1c to 2 percent, but this diminishes over time. The longer you have had diabetes, the more likely this medicine may not work for you if your sugars are not controlled. Follow your meal plan and activity program. Call your healthcare provider if your blood glucose levels are consistently low. If there is an increase in your activity level or reduction in your weight or calorie intake, the dose may need to be lowered. Meglitinides are similar to sulfonylureas in that they increase insulin output, but they are shorter acting. These medicines are typically good for older patients who need help with lowering their mealtime sugars. However, they must be taken three times a day and can be hard to comply with. Works on the pancreas to produce more insulin to reduce after-meal blood sugars. Take 15 to 30 minutes before the start of each meal. If you skip a meal do not take it. Low blood sugar, upper respiratory infection, headache, diarrhea, weight gain. Expected to reduce A1c to 1 percent. If you skip meals, frequently discuss with your primary health provider as this medication may not be the one for you. DPP-4 Inhibitors are typically used as a second line agent to help lower after-meal sugars. Increase insulin production in your pancreas when your blood sugar is high, especially after you eat. Reduces the amount of sugar made by your liver, especially after you eat, when your body doesn't need it. Take this medication once a day at any time. It only works when it comes into contact with sugar, therefore it should not increase the risk of low blood sugar. Upper respiratory infection, sore throat, or a headache. Expensive—Contact your insurance provider to see which medicine is the preferred agent on your plan before filling a prescription. Expected to reduce A1c about .5 to 1 percent. Januvia, Onglyza, and Nesina are excreted through the kidneys. People who have decreased kidney function may need to have their dose adjusted. If you have a history of kidney disease or pancreatitis, you should notify your physician as these medications may not be right for you. If you are taking other medicines that tell your pancreas to make insulin, you are at an increased risk of having a low blood sugar. Works with your kidneys to help remove excess glucose (sugar) from your body when you urinate. Take before your first meal of the day. Urinary tract infection or yeast infections, dehydration, bladder cancer. Can be expensive – Contact your insurance provider to see which medicine is the preferred agent on your plan before filling a prescription. Expected to reduce A1c about 0.5 to 0.7 percent. In contrast to other medications, they can be added on with similar efficacy as a 3rd or 4th agent. Yields an approximate 2 to 3kg (4.4 to 6.6lb) weight loss over the course of a year. Discuss with your healthcare provider if you have a history of kidney disease before taking this medication. Inhibits the breakdown of starches, thereby reducing blood sugars. Take with the first bite of each meal. Usually taken three times per day. If you have a history of inflammatory bowel disease, GI obstruction, or other malabsorption syndromes, discuss with your primary care provider as this medicine is not for you. If you experience low blood sugar (anything less than 70mg/dL), you must treat it with glucose tablets or skim milk, as the breakdown of other sugar sources is too slow. May help people to eat fewer carbohydrates. This is not a typical diabetes medicine, it is usually used to reduce LDL (bad) cholesterol, but it can also help to reduce A1c. Expected to reduce A1c to about .5 percent. Welchol is contraindicated in individuals with a history of bowel obstruction, those with serum triglyceride (TG) concentrations of >500 mg/dL, or with a history of hypertriglyceridemia-induced pancreatitis. Welchol may decrease the absorption of fat-soluble vitamins A, D, E and K. Patients on vitamin supplements should take their vitamins at least four hours prior to Welchol. To simplify things and increase compliance, many medicines have been combined together. If you are taking metformin and another agent but typically forget to take all your medicines, perhaps the combination medicines are good for you. Inzucchi, Silvio, et. al. Management of hyperglycemia in type 2 diabetes: a patient-centered approach position statement of the American diabetes association (ADA) and the European association for the study of diabetes (EASD). Diabetes Care. November 15, 2014. American Diabetes Association. What Are My Options? November 16, 2014.
dLife. Combination Oral Medicines. November 15, 2014. Welchol (colesevelam HCI). Prescribing Information. Daiichi Sankyo, Inc., Parsippany, NJ, 01/2014.